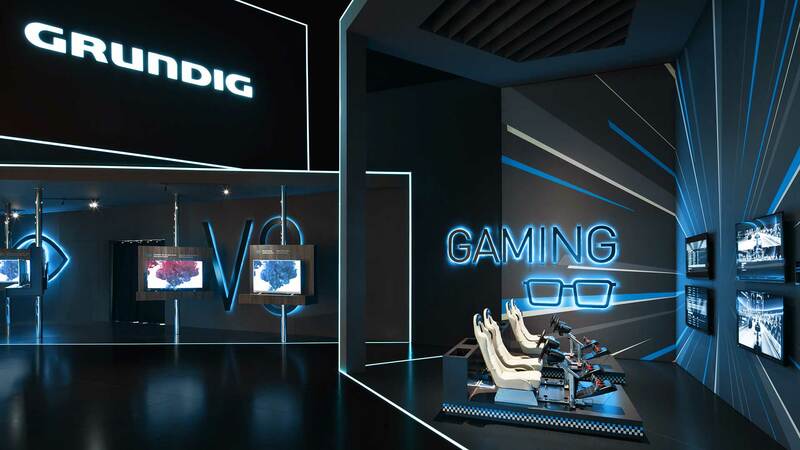 It is already the seventh time that Dart develops a fair design for the area Consumer Electronics (CE) of Grundig Intermedia GmbH in Berlin at the IFA 2014. 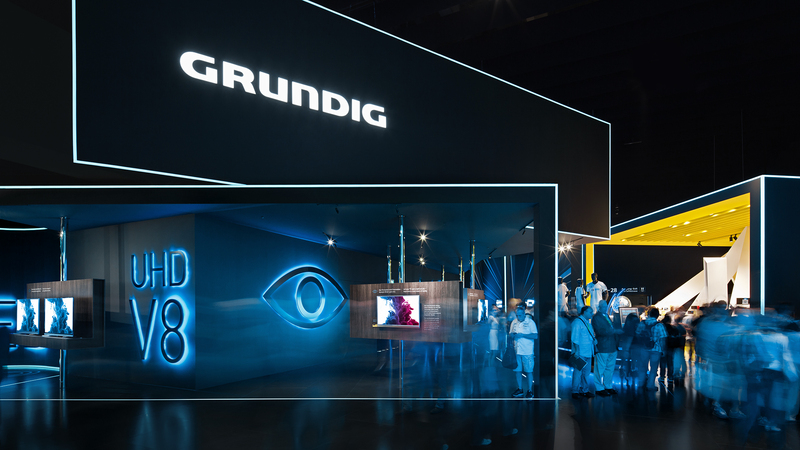 The fair design’s arrangement for this year’s presentation of Grundig at the IFA is geared to the focal topic TV and displays the Grundig “Home Entertainment” products in an exhibition space with a size of 890 square metres that is bathed in nocturnal black hues. Dark cubes that are stacked and wrapped in blue luminescent light ribbons rise up to eight metres into the space. 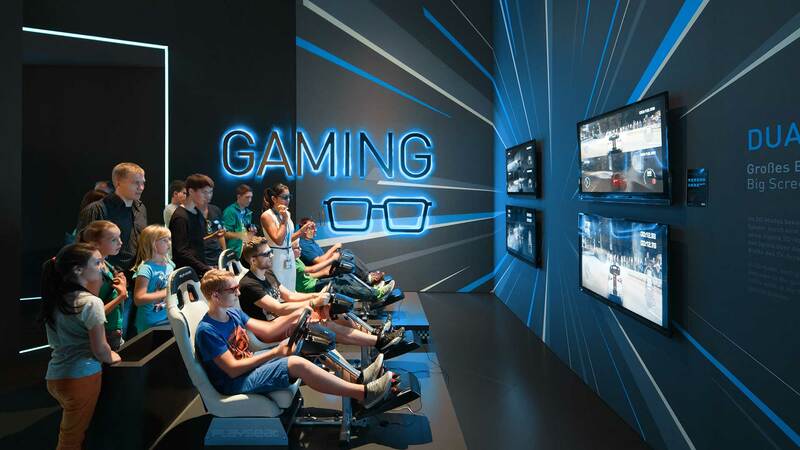 All seven product areas thus obtain their own effectively arranged exhibition area. Oversized lit up blue signs categorize every area and illuminate the mystical black space, but only selectively. 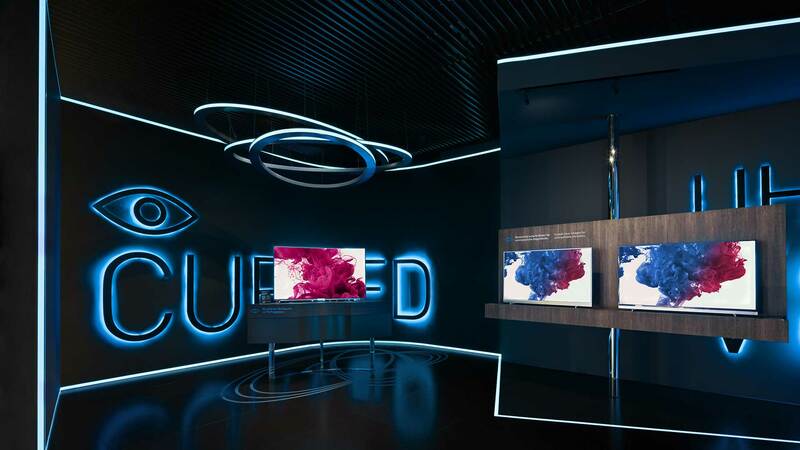 Because it is the TV products with their image quality characterized by colour brilliancy and luminance that are in the arrangement’s spotlight. 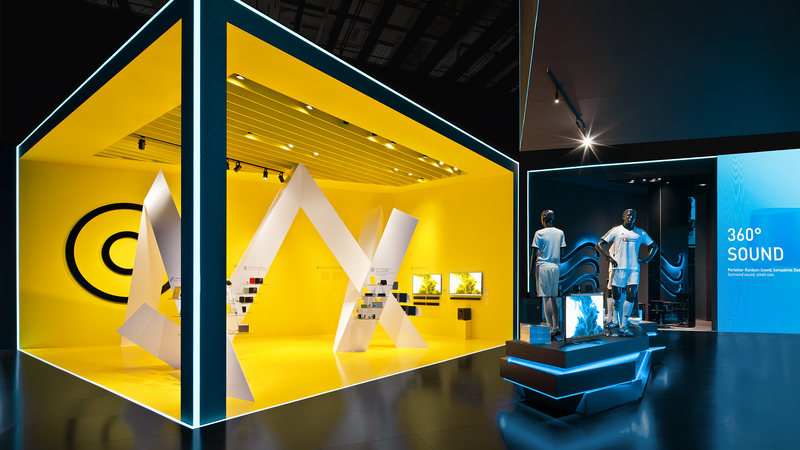 The topic “Fashion & Care” is integrated into the nightly illumination of the “Home Entertainment” area with a catwalk arrangement. 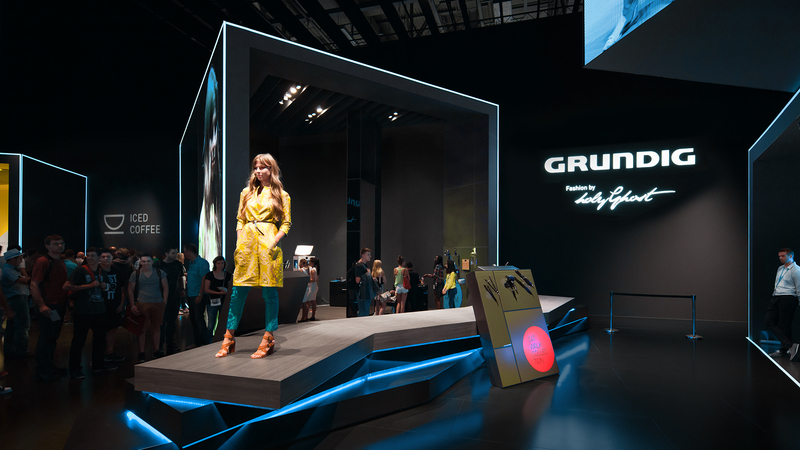 Every half an hour there is a fashion show in cooperation with the Munich label “HolyGhost”. It accompanies the product area “Hair Care” as a life event. The audio area in yellow hues with signal function is embedded into the black space of Grundig CE as a highlighted area. There is a spatial translation of a sound amplitude, which creates space for the presentation of the small and handy audio products.